The Walter H. Judd International Graduate & Professional Fellowships are designed to support the continued internationalization of the University of Minnesota by providing critical assistance to students enrolled in master’s and professional degree programs, and to increase opportunities for students to study, undertake internships, and conduct research projects abroad. A primary goal of the fellowships is to increase exposure to other cultures. The program especially encourages applications from students who have never traveled abroad. Funding is provided by a generous gift from the Walter H. Judd Fund of The Minneapolis Foundation and additional funds from the Global Programs and Strategy Alliance, with support from individual donors. Applications are due by 4:30 p.m. on February 12, 2019. Awards will be announced in early April 2019. Up to $2,500 may be requested to support travel, living, and allied academic or professional expenses abroad. The fellowship also provides international medical insurance for all recipients for the duration of their project abroad. Awards may be used from May 2019 through April 2020. It is anticipated that 15 fellowships will be awarded this year. Projects should range in length from three weeks (21 days in country) to one year. (All other things being equal, students on longer programs will be given preference.) If the primary program is less than the required 21 days in country, students must propose an additional two-week independently arranged academic experience. Research awards support field research, archival research, or collaborative research and writing. *Applicants participating in an organized group program must describe their individual goals or project. Judd Fellowships support group program participation in a University of Minnesota study seminar only if the applicant proposes a two-week independently arranged academic internship or research project following the group experience. Students must be enrolled in a master’s or professional degree program at the University of Minnesota at the time of application and be enrolled for at least one semester after completion of the project. Students who will have completed required credits for the degree before undertaking the international project are not eligible for the award. (Students enrolled in one-year master’s degree programs may have the return requirement waived. Waivers of the return requirement for other students will be considered on a case-by-case basis.) Former Judd recipients and Ph.D. doctoral students are not eligible. Students enrolled in M.F.A. programs are eligible; students enrolled in Ph.D. programs are not eligible. Students enrolled in joint professional/Ph.D. programs are eligible to apply during the professional “window” of their studies. Applicants may be citizens of any country. Since a primary goal is to expand international experiences, the fellowship is not intended to support projects in a student’s home country; therefore, such applicants will need to make a very compelling case. Travel Advisory Level 3 or 4 Countries or Locations: Travel to Level 3 or 4 countries or locations designated by the U.S. Department of State requires approval from the International Travel Risk Assessment and Advisory Committee. Applicants are encouraged to apply early; a complete application must be submitted electronically six to eight weeks before proposed travel. Travel to Cuba: Federal regulations allow limited educational activities in Cuba. Please review the University of Minnesota's guidelines for travel to Cuba. 1. Poster Session: All fellows are expected to share their experiences at the Judd Fellows Expo in mid-October. Note: Doctoral students are not eligible for a Judd Fellowship. Applicants are also required to obtain two letters of recommendation—one letter must be from the applicant's current academic adviser. Letters will be submitted through the online application system. Applicants are responsible for ensuring that both letters are submitted by the deadline. Information about obtaining permission from the University's International Travel Risk Assessment and Advisory Committee to travel to a country or location designated as Level 3 or 4 Travel Advisory by the State Department. Learn about the reporting and insurance requirements for traveling abroad for University purposes. Twenty graduate and professional degree students were awarded fellowships in 2018 through the Walter H. Judd International Graduate & Professional Fellowships. One Judd Alumni Fellowship was awarded to the highest-ranked fellowship applicant and was made possible by generous support of Judd Fellow alumni and matching funds from the Carol and Cliff Stiles Rainbow Fund. Judd Fellows Aryal and Ramos will design a prototype of biocultural innovations (business model) as part of the development of a broader Maya Economy. The goal of this project is to help the Maya Leaders Alliance transform the valuation of Maya culture. Aryal’s efforts will focus on assessing effects of this innovation on Maya livelihoods, culture and heritage. In Lisbon, Briggs will visit various museums to research fado’s historical narrative and complete an ethnography of Lisbon-style fado across the city. She will contrast the fados of Lisbon, Coimbra, and São Miguel to highlight the various sub-styles within the genre and cultivate a pluralistic understanding of fado. Judd Fellows Brubaker and Drechsel will intern with the Dodoma Christian Medical Center (DCMC) in Tanzania. DCMC is a not-for-profit center that offers a variety of specialty medical services to the local people of central Tanzania and has recently opened a physical therapy clinic. This internship will largely serve as a chance to participate in healthcare cross-culturally. In addition to providing physical therapy care, they will spend time setting up and organizing the clinic space at the DCMC and tracking diagnoses for the future benefit of the Division of Physical Therapy at the University of Minnesota. ElShiekh will work with Picture Impact, a Minneapolis based human-centered social design studio, to investigate the contracting between small-and medium-sized agribusinesses and smallholder farmers. Picture Impact is developing a picture-based contracting mechanism that will help build relationships and trust, and logistically smooth the contracting process from beginning to end. Epping will spend four weeks as a clinical intern at Makerere University School of Medicine to explore management of severe infectious diseases and pediatric disorders in a low-resource setting. She will examine barriers to accessing and providing medical care in the region, and how physicians are developing creative solutions to address global health inequalities. Gilligan will research insulin storage in Haiti. Commercially available storage devices are cost-prohibitive and alternative storage devices, such as Zeer pots are fragile and non-portable. Her pilot study found that a homemade insulin storage pouch made from nylon and water beads is cheaper and more effective compared to other insulin storage methods. Gilligan’s project aims to further assess the evaporative cooling efficacy of homemade insulin storage units in Haiti. Nepal’s Chitwan National Park (CNP) serves as one of two places globally where tiger numbers are increasing due to improved forest management practices. As primary collectors of forest products, women have been identified as the most at risk for attacks and have more negative views towards tigers than men. Helle’s project aims to understand, through a gendered-perspective, coping mechanisms in areas of high human-tiger conflict. She will use qualitative data to inform a series of educational and collaborative planning workshops in affected areas. Kluesner will intern with SMS Maama, a social business venture aimed at increasing access to maternal health information through a mobile health (mHealth) application. SMS Maama is conducting a pilot research study to test its health delivery system. As a research intern, Klusner will assist with the implementation, training, and data summation of the focus group portion of this research pilot. Kurschner will complete an international physical therapy internship. She will work under the supervision of licensed physical therapists to assist with and learn from local health care providers in Ecuador. The first half of the internship will take place in Quito at an outpatient clinic, and the second in rural Ibarra at a pediatric clinic. Lara Ovares will intern under Dr. Shelly Chadha’s lead in the Deafness and Hearing Loss Prevention Programme at the World Health Organization for three months as part of WHO’s Summer Internship Program in Geneva. She will assist in the development of policies for prioritization of hearing care, support the elaboration of hearing care tools and guidance protocols, and help advance hearing care strategies. Colombia’s Decree 1848-2017 lowered water filtration standards, allowing the government to spend taxpayers’ money on less sophisticated water filtration systems such as BioSand Filters. As part of a team, Mbaye will evaluate the adequacy of BioSand systems, from the perspective of the users. His team’s evaluation will contribute to the decision whether to distribute this technology. Miller has proposed a collaborative research project to study global climate change with the University of Aberdeen’s Institute of Biological and Environmental Sciences. Miller will use the agriculture specific climate model DAYCENT to study agricultural management strategies and greenhouse gas emissions from soils for Minnesota and the Midwest U.S. The project will use regional agricultural greenhouse gas estimates and improved climate forecasts to study the influence of agriculture on global climate change as well as the resulting impacts of climate change on agriculture. Panttaja will conduct a project evaluating vitamin A supplementation, food insecurity, and health services and awareness with an emphasis on women empowerment within the Batey Relief Alliance. Site work will be completed in the province of Monte Plata, Dominican Republic. The aim of the project is to evaluate and collect data on the existing programs and health services provided by Batey Relief Alliance which serves over 30,000 individuals. The project will also investigate needed support systems, costs, and community interest in health services. Patton will investigate the role of theater, performance, and performativity in the church of Sant’Agnese in Agone, in Rome, Italy. The architectural design of the church, coupled with the circular program of marble relief altarpieces, creates an intermediary site of sensorial experience and affectivity, aspects of the church interior that have not been investigated by scholars. Patton will conduct on-site research in Sant’Agnese in Agone, as well as search the Doria-Pamphilj archive for primary sources, including contracts, payments to artists/builders, and letters written to or from the church patron. Judd Fellows Ramos and Aryal will intern with the Maya Leaders Alliance (MLA) supporting the MLA in their design of a prototype framework for biocultural innovations, which feature local practices and resources. They will design a culturally responsive economic governance model that incorporates their sustainable practices. Although Namibia is one of the most progressive countries in Africa in relation to LGBTI rights, domestic repression is still rife and legal protections are lagging. Organizations like the Women’s Leadership Centre (WLC) have been promoting resistance through the empowerment of queer women. Sibhat will intern with WLC and spend June and July in Namibia leading writing workshops in four cities. As part of a team, Singh will work with Komaza, a Kenyan-based business that works with marginalized small-scale farmers owning dry-land to grow trees as a cash crop through their “micro-forestry” program. The goal of the project is to determine whether Komaza’s current micro-forestry model, which has been successful in two counties in the coastal areas in the south is scalable to other parts of Kenya, particularly in central Kenya, and if not, assess what aspects need to be modified to be more feasible for replication. M.D. – Medicine Mexico Skarbakka will participate in the “Realities of Health Access & Inequities” program through Child Family Health International, a community-based global health education program in Oaxaca, Mexico. This program involves Spanish language study, homestay with a local family, and clinical rotations through primary healthcare centers, government hospitals, a Red Cross clinic, a traditional medicine clinic, and a nonprofit rehabilitation center. Vang’s M.F.A. thesis is a Hmong-American family memoir. She will spend three weeks in Laos and Thailand to visit Hmong villages and research the places where her parents and eldest siblings were born. Part of Vang’s manuscript will focus on her father’s life as a soldier in Laos and what it cost him to uproot her family after the war. As a second generation Hmong-American, Vang lives between two cultural identities, and in order to write her memoir, she must understand her family’s origins. * The Judd Alumni Fellowship is awarded to the highest-ranked fellowship applicant. The Judd Alumni Fellowship award is made possible by generous support of Judd Fellow alumni and matching funds from the Carol and Cliff Stiles Rainbow Fund. ** The Master of Development Practice is an interdisciplinary program jointly administered by the Humphrey School and the Interdisciplinary Center for the Study of Global Change (ICGC) and spans several academic disciplines across the University of Minnesota. "News from the Judd Fellowships" is an occasional e-newsletter sent to Judd Fellows, Judd Alumni, donors, and friends of the Judd Fellowship program. To subscribe to the newsletter, please contact meaka@umn.edu. Updates from the 2018 Judd Fellows in the field, previous Judd Fellows hosting current Judd Fellows in Ghana, and alumni updates. A Judd Alumni Fellowship will be awarded in 2017, 2016 Judd Alumni Fellow Profile: Prosperity Eneh, Judd Fellow featured in The Atlantic magazine, and alumni updates. Updates from 2016 Judd Fellows in the field, a tribute to Wheelock Whitney, a feature about Judd Fellow alumni forming partnerships, and Judd alumni updates. Judd Alumni Fellowship to be awarded in 2016, updates from Judd Fellows in the field, recap of the 2015 Judd Expo, Judd alumni updates, and a profile of donors Carol and Cliff Stiles. Meet the 2015 Judd Fellows cohort, Tim Frye reports from his Judd Fellowship in Panama, and catch up with Judd Fellow alumni. Meet the 2014 Judd Fellows cohort and catch up with Judd Fellow alumni. The Inaugural Judd Alumni occasional lunch series is kicked off, a recap of the 2013 Judd Fellows Expo, an update from Judd Fellow Katie Schwarz about her internship in Tanzania, and Judd Fellow alumna Sarah Christianson’s photography is featured in Mother Jones Magazine. Kelly Rosengren reports from her internship in Tanzania, alumni updates, and Judd Fellow alumni meet in Washington DC. Meet the 2013 Judd Fellow cohort, reports from Judd Fellows in Nepal, Senegal, and Mexico. Plus updates from Judd Fellow alumni. Read the inaugural "News from the Judd Fellowships" newsletter. The Judd Fellowship program was featured in Legacy Magazine, “Global Outlook, Local Impact” in 2012. 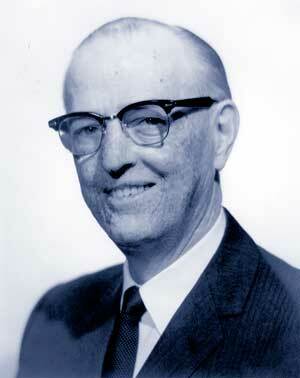 Walter H. Judd was born in Rising City, Nebraska, (population 499) on September 25, 1898. He earned his medical degree at the University of Nebraska - Omaha in 1923. Judd soon felt the call to public service. He left for China in the summer of 1925 and spent five years at a mission hospital in Shaowu in southern China caring for the sick and dying. After suffering from malaria 44 times, Judd was forced to return to the U.S. in 1931 to recuperate. He then began a three-year surgery fellowship at the Mayo Clinic. In 1932, Judd married Miriam Louise Barber. Born in India to YMCA-worker parents, Miriam shared Walter’s calling to missionary service. In 1934, Judd was asked to head Fenchow Hospital, so the Judd family, which now included a daughter, moved to northern China. Another daughter was born in China and a third was on the way as the Japanese army approached Fenchow. Judd put his pregnant wife and two daughters on a plane to the U.S. four months before Fenchow was captured by the Japanese in February 1938. Judd worked under the watch of the Japanese for five months before being released. He returned to the U.S. as a determined crusader, making 1,400 speeches in 46 states over the next two years warning against the build-up of Japan’s military. The Judd family moved to Minneapolis in 1941, and Dr. Judd returned to medical practice. While the country’s attention was focused on the events in Europe, Judd continued to warn of the impending crisis in the Far East. True to Judd’s prediction, the Japanese army attacked Pearl Harbor. Because of his great knowledge of the Far East, Judd was encouraged to run for Congress in the Fifth District. He was elected in 1942 and served for 20 years. He was appointed delegate to the General Assembly of the United Nations in 1957 and delegate to the World Health Assembly in 1950 and 1958. He was considered as a potential vice presidential candidate for both Eisenhower and Nixon. He delivered the keynote address at the Republican National Convention in 1960. Judd was well liked on both sides of the aisle — he was chosen by his peers as one of the ten most influential and admired members of Congress in 1961, the only Republican on the list. Judd played a pivotal role in Congress’ approval of the Truman Doctrine, Marshall Plan, and NATO, and he authored legislation for the World Health Organization and the International Children’s Emergency Fund. The McCarran-Walter Act of 1952 included Judd’s amendments to eliminate racial discrimination from immigration and naturalization laws. After redistricting, Judd lost his re-election bid in 1962. He maintained a rigorous speaking schedule, lecturing on public affairs, China, foreign policy, and religion and ethics. He also served as chairman of the prestigious Judicial Council of the American Medical Association, a contributing editor to Reader’s Digest, and chairman of the Committee for a Free China. In 1981, Judd received the Presidential Medal of Freedom, the nation’s highest civilian award. "Missionary for Freedom" by Lee Edwards, 1990. "Walter H. Judd" by Lee Edwards, 1995. "Walter H. Judd: Chronicles of a Statesman" by Walter Judd, edited by Edward J. Rozek, 1980. "Ten Men of Minnesota and American Foreign Policy, 1989-1968" by Barbara Stuhler, 1973. Each October, the annual Judd Fellows Expo gives the returned fellows the opportunity to share photos and stories of their time abroad with family, friends, faculty mentors, and supporters of the fellowships. If you would like to receive an invitation to this event, please email Meaka Pitschka at meaka@umn.edu.